Your home in Chicago is incomplete without a Feldco storm door. They protect your entry door, improve your home’s energy efficiency and look great too. It’s essential for your home to have a storm door in Chicago. 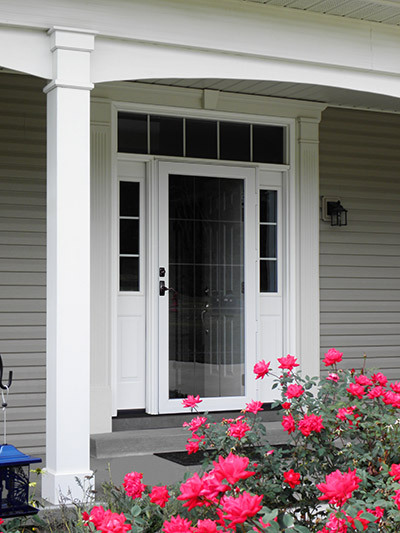 An aluminum storm door is your entry door’s best friend. It’s installed on the outside of your entry door and protects it from rain, snow, hail and wind. Think of it like a shield – your entry door has never been safer. Don’t worry, your storm door can handle Chicago’s weather. Since your storm door is installed on the outside of your entry door, it also adds a layer of insulation. This makes it harder for heat or air to escape your home through your entryway. This will save you money on your energy bills and will make your home more comfortable year round. 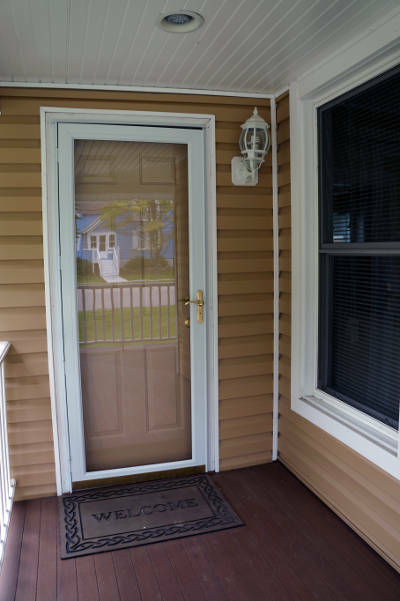 Your storm door allows you to open your entry door at anytime without the fear of bugs getting into your home. Some storm doors allow you to replace your screen with glass and vice versa so you can open your entry door at anytime without worrying about the weather. We also offer retractable screens that will give you better control over the air flow in your home. You have many customization options with your storm door. Along with hardware, we have many color and screen/glass options. You can design the perfect storm door for your Chicago home. Every entry door should be protected by a storm door in Chicago. The weather is unpredictable so having an extra layer of defense is never a bad idea. They’re also good anywhere you want a screen door to let in fresh air.